The Chilliwack Jr. Chiefs are a non profit Spring hockey organization for Chilliwack and area youth hockey players. All our teams are based out of Chilliwack BC. The Jr. Chiefs will dress 8 teams in the 2019 spring season. We are excited to add the 2011 age group. Please check the team and contact links for more age group specific information. 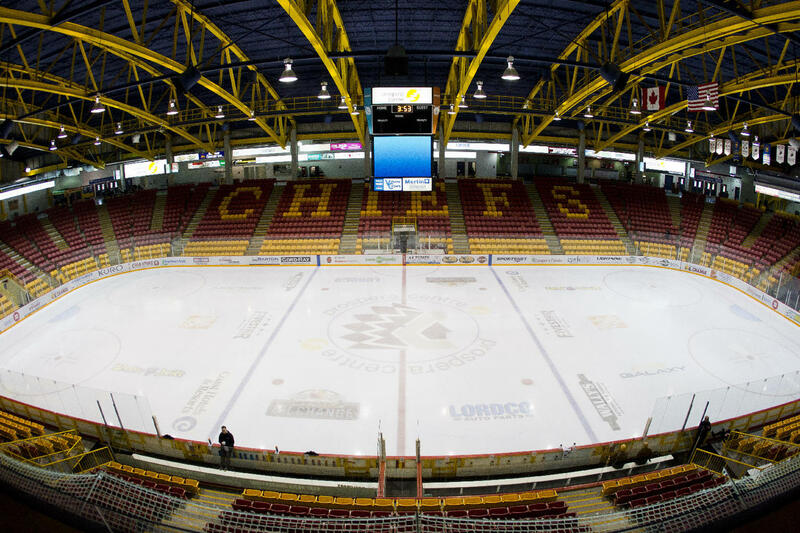 The Jr Chiefs and Chilliwack Chiefs have agreed to a new partnership with the two programs. Chiefs Head Coach Brian Maloney and Jr Chiefs Director Clarke Wismer have worked out a formal partnership that will allow the programs to work together for future years. The Jr Chiefs will continue to operate their current structure with the support and guidance from the Chiefs staff. 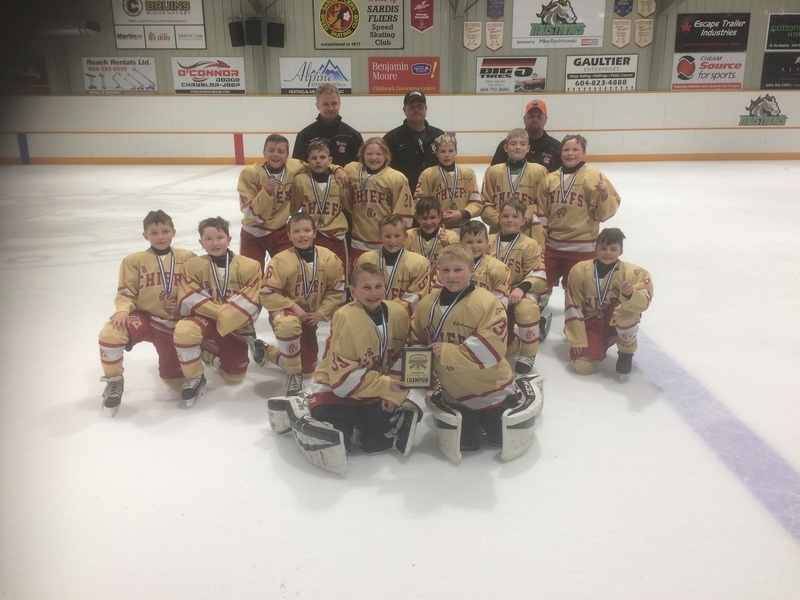 Coach Maloney and his staff will help to oversee the operations of the Jr Chiefs teams while also offering their expertise both on and off the ice for all the Jr Chief teams. Prospera Centre will also be the primary rink for most Jr Chief team practices and games. The Chilliwack Chiefs will also begin to provide new opportunities for older Chilliwack and area players to continue their hockey development in the newly formed BCHL Jr Showcase Hockey League. The JSHL started last spring with U16 and U18 teams playing in a showcase style league. Chilliwack will join 9 other BCHL teams as part of the JSHL competing this spring. The plan is to field a team in the U15 (2005), U16 (2004) and U18 (2003-2002) divisions. Players who graduate from the current Jr Chiefs teams will now have an opportunity to continue to play competitive spring hockey while gaining valuable exposure with BCHL teams. Details about the Chilliwack Chiefs Prospect teams will be made available in the next few weeks. Congratulations to the first ever Jr. Chief player selected in WHL draft. Graham Sward was selected 17th overall by the Spokane Chiefs in the 2018 WHL draft. Graham was a member of the flagship 2003 Jr Chiefs for 3 spring seasons. We wish Graham all the best in his future with Spokane. Three other members of the 2003 Jr Chief team were also invited to WHL camps this past August. Clay Kurtz and Lucas Bourdon were in Kamloops, while Luke Wismer was in Swift Current. The 8th Annual Spring Kick off Tournament will be Apr 5th-Apr 7th, 2019. This is for AA/A teams in the 2006, 2007, 2008, 2009, 2010, 2011 divisions (AAA teams can play up an age group). Every age group will have a championship game, and all teams will be guaranteed 4 games (5 for championships). Tournament gifts and awards for all players. Game slots will be 75min. Cost $1600/team (tax incl). Please email for more information or call Clarke Wismer 604-217-6116. Last year we hosted a record 43 teams from as far away as Fort St. John and Cranbrook. We look forward to hosting you again in Chilliwack. For all tournament stats, standings etc click the link below.